LSBU has received funding support from the British Academy and Leverhulme Trust to launch a research project to establish whether final year social work students can learn from real-life scenarios in similar ways to the experts. The project aims to assess students’ understanding of the difficult decisions child protection social workers must make in real life, which often involves limited knowledge, time pressures and powerful emotions. 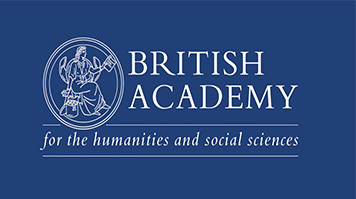 The British Academy and Leverhulme Trust awards funding across academic disciplines and provides grants for important research, supporting talented individuals in the arts, humanities, sciences and social sciences. In some areas, frequent staff turnover has meant that many frontline social workers are relatively inexperienced but must make complex decisions quickly. Finding effective ways in which social workers can make better and safer decisions is a key priority. The research project is a randomised controlled trial that will use an educational intervention used by the New York Fire Department and the US Marines. This will see students work in a controlled environment where they will be given rapid and intensive pre-recorded feedback to real life scenarios from experts to assess their understanding and responsiveness. The study builds upon previous research by the Principal Investigator, Dr Andrew Whittaker, who in emphasising the benefits to students said: “The project can give our students important skills that make them better social workers and improve their employability as these are skills that are highly valued by employers." The study is in partnership with the London Borough of Merton. Paul Angeli, Assistant Director, said: “The London Borough of Merton is pleased to be involved in this innovative piece of research. This is a great example of academics and practitioners coming together to look at how research might help us improve our work with families and the quality of decision making." Professor Warren Turner, Dean of the School of Health and Social Care, said: “I am delighted that Andrew’s project has received the support of the British Academy and Leverhulme Trust. This is an important area of work which has the potential to make a significant impact on how we educate and prepare social workers for expert practice, at a time when the need for rapid and safe decision making in practice is paramount." Find out more about the research programmes offered at the School of Health and Social Care.